A white US Navy veteran from Kansas was charged with fatally shooting Srinivas Kuchibhotla, a young Indian engineer and injuring two other men, one being a white American who tried to intervene. The accused reportedly asked the victim to get out of US and later admitted “he had killed two Middle Eastern men”. Concerns have been raised over increase in hate crimes following Trump’s election. 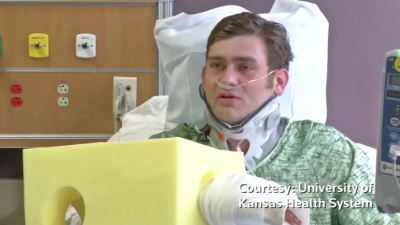 A white Kansas man was charged with fatally shooting an Indian man, and injuring another Indian as well as an American. According to the charge, the crimes were planned. Adam Purinton, 51, is the accused, and Srinivas Kuchibhotla, 32, one of his victims, died in the hospital. 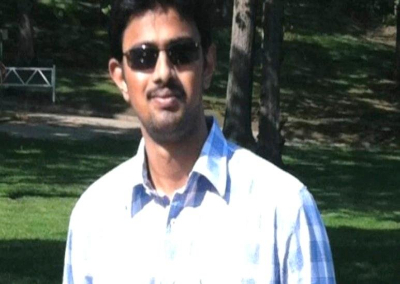 Another victim, Alok Madasani, 32, Srinivas’s colleague and Ian Grillot, 24, were reportedly in a stable condition after the attack which took place Wednesday night at a bar in Olathe, Kansas. According to witnesses, Purinton had hurled racist abuses at his victims. Before opening fire he shouted “get out of my country”. The bartender said, “From what I understand when he [the gunman] was throwing racial slurs at the two gentlemen, Ian stood up for them”. Purinton, a Navy veteran, then fled the bar and was reportedly arrested from a bar in Clinton, Missouri. He had told the bartender that he was in need of a hideout as he had killed two “Middle Eastern” men. Local media reports said he had frequently complained about his ill health and was grieved at the loss of his father. The Indian engineers worked in the Aviation Systems Engineering team at technology company Garmin. India’s Foreign Minister Sushma Swaraj expressed shock and said she would provide assistance in bringing back the deceased’s body to Hyderabad. US Senator Jerry Moran of Kansas, on Facebook, raised concerns over the safety of other immigrants and emphatically condemned prejudice and xenophobia-driven violence. Four appeals for funds were made via crowd-funding website GoFundMe to provide financial support to Kuchibhotla’s family and the other two injured, Madasani and Grillot.They have collectively raised over $1 million by now. The US Embassy in Delhi condemned the killing and in a statement reiterated that US upholds democratic values and promised justice while acknowledging it would be small consolation. A statement from the White House said the loss of any life was tragic but was quick to dismiss reports that linked the crime to Trump’s rhetoric as absurd. His manager and friend were heartfelt in remembering Srinivas; both recognized him as an exemplary human being. Sunayana Dumala, Srinivas Kuchibhotla’s wife, said that the man who did this has taken a "very lovable soul" from her family. Why is this “mistaken identity” attack not the only one? In December 2015, an armed robber stormed into a store and shot at a clerk of Indian descent. News reports said the robber accused the victim of being a terrorist and ISIS member. The victim, who was saved as the bullet hit his cheek, remembered the shooter saying “he used to kill people like him in Iraq”. Anti-Muslim hate crime perpetrators have also repeatedly targeted American members of the Sikh community. Since 9/11/2001, hate-driven perpetrators of crime target Sikh Americans, possibly thinking them to be Muslims. Following 9/11, a man shot dead a Sikh gas station owner in Arizona and tried to justify his action by saying “he wanted to kill a Muslim”. The Sikh Coalition founded after this incident, reported 140 anti-Sikh hate crimes between 2001 and 2012. In 2012, a US Army veteran linked to white supremacist groups shot dead six people in a Sikh temple in Oak Creek, Wisconsin. 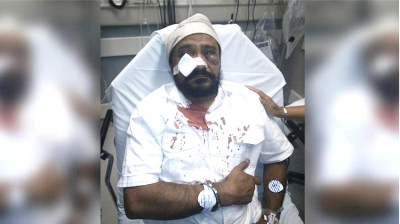 In September 2015, a minor driver attacked a Sikh American cab driver. He reportedly cut him off many times and accused him of being a terrorist and said, “Terrorist, go back to your country, bin Laden”. He then repeatedly punched him in the face causing him to lose consciousness. “Fourteen years have passed and nothing has changed, we are still seeing attacks on Sikhs, mostly due to misconceptions”, Anisha Singh, campaign manager for Legal Progress at American Progress told Al Jazeera. 2016 too witnessed a ghastly crime on January 1 in which an individual stabbed a senior citizen Sikh to death. When does this reflect a deeper problem? In dealing with hate crimes, members of the society confront a well-known but vaguely understood enemy. Post 2016 election, opinion was polarized on whether hate crimes had shown an increase. This brought to light yet another disturbing problem – US simply did not possess a reliable system to track hate crimes. 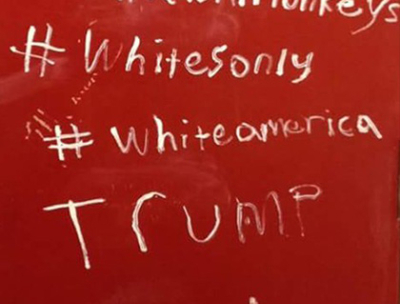 In the 10 days after Trump won the Presidency, a total of 1067 hate crimes took place, according to the Southern Poverty Law Center. From single-digit values usually noted each day, the number rose to 200 the day after Trump’s election. A Quartz article’s analysis however argued that the SPLC was not collecting data for enough time to reveal a definite spike. There was also the problem of verification, despite utmost efforts. And while SPLC did have a bigger dataset prepared chiefly from media sources from 2003 to 2015, these gave an idea of how media covered hate crimes, rather than of their frequency. 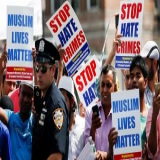 Further, the FBI, one of the sources cited most often, reveals a deeply flawed data collection process.It is not mandatory for law enforcement agencies to send information pertaining to hate crimes to the FBI, therefore more than 3000 state and local law enforcement agencies choose not to. While there are statistics, they fall short on adequacy and accuracy. That being said, the SPLC’s annual report for 2016 shows a second consecutive increase in the number of hate groups in the US – from 892 in 2015 to 917 last year. Also, local governments and police departments are better positioned to collect data on hate crimes in real time. In New York City, there was a significant 31 percent rise as of November 2016 compared to 2015. “We’re up 31% from last year. We had at this time last year 250; this year we have 328. Specifically against the Muslim population in New York City, we went up from 12 to 25. And anti-Semitic is up, too, by 9% from 102 to 111”, said police commissioner James O’Neill. This highlights one of the problems with hate crime terminology – people automatically absolve themselves and conveniently blame it on “bigots”. Where are the root causes of this sort of a hate crime? The research in Britain revealed the challenge extended beyond extremist minorities. “It’s societal, it’s about racism in society, it’s about economic deprivation, it’s about supremacy,” Lowles said. “The answers are much more difficult”. Psychologists point to the 9/11 incident to highlight that when hit by crisis, members of a community respond by trying to scapegoat other communities they hold responsible. Us vs. others mentality reinforces itself from subtle to gruesome ways. Psychologist Edward Dunbar, as a part of his research on hate crime perpetrators, profiled about 550 of them. He noted that though not mentally ill, they exhibited high aggression levels and antisocial behavior, and childhood histories of abuse where violence was used as the means to solve family problems. America knew of hate crimes long before it knew of Trump. But his campaign built on existing hostilities and in doing so empowered feelings of white nationalism and supremacy, and permitted movements like the alt-right to reinforce these messages. Not always does a single prejudice motivate perpetrators of hate crime. 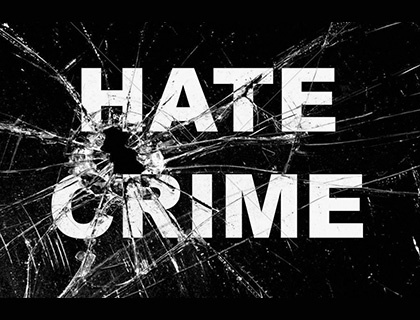 Hate crime perpetrators cannot be placed under a single type and the same holds true for hate crime. Social environments may foster hate crimes. A variety of different factors may drive the perpetrators. Research from the US suggests 4 types of perpetrators: thrill seekers, defensive perpetrators, retaliators and mission-focused perpetrators. 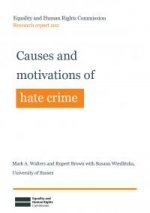 Above all evidence for hate crime causation is not yet conclusive. It however suggests that perpetrators act when they perceive a threat from certain groups. The threats can be categorized as realistic – perceived competition over jobs, housing and other resources and symbolic – related to threats posed to people’s values and social norms. From whom can US learn? From Britain post Brexit vote, points out Patrick G Lee, ProPublica. In this Britain, political leaders have emphatically stated that prejudice-driven violence will not be permitted. In October 2016, PM Theresa May said police agencies and the government were working to strengthen their response mechanisms to such incidents. 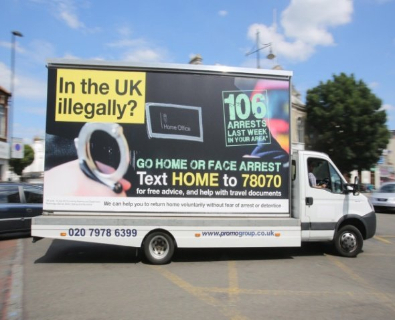 Critics raised concerns over the wide gulf between the firm stand against hate crimes and practical implementation of sometimes harsh immigration policies and initiatives such as “Operation Vaken”, a 2013 project purported to encourage illegal immigrants to leave UK of their own volition, and enforced in part through mobile vans which drove through some places bearing the message “go home or face arrest”. Trump’s condemnation of hate crimes on one hand, and his alarming efforts to curb immigration on the other, evokes the same kind of concerns. For Srinivas, as his wife and numerous people – American and Indian – expressing solidarity, justice must be ensured. His wife, with quiet determination has sought an answer “for everyone out there” from the US government on how they intend to stop hate crime, and it is the government’s responsibility to provide it. As of 2015, 45 states and the District of Columbia had laws against hate crime. Supporters of these laws and advocates who want them to be more stringent say they may lead to higher reporting of hate crimes and discourage perpetrators. Also, in recognizing hate crime as directed against the disadvantaged community, the judicial system sends out a message that it is sensitive to the basic rights of the community. Critics point out that the claim that stricter laws will bring about lesser hate crimes is not backed by evidence. Also, such laws present a superficially tough stand but do not seek to address fundamental problems – racism, homophobia, crime against immigrants. Asian Americans Advancing Justice, a civil and human rights nonprofit has launched a website – standagainsthatred.org – to document hate crimes against Asian Americans and Pacific Islanders in the event of a sharp rise in crimes against these sections in Los Angeles County between 2014 and 2015. The site will receive and track stories of hate incidents submitted by people across the country, authenticate them internally, and post them anonymously. ProPublica, a non-profit newsroom, has launched its Documenting Hate project this year. It says a number of news organizations and technology companies will be part of this venture. Social media has also provided a new avenue to highlight the issue. 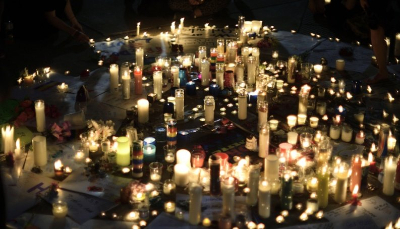 The immediate solidarity – emotional and financial – extended by people inspires hope. As does the courage and humaneness Ian demonstrated. An environment that instills these values and that of mutual respect needs to be created at all levels.